A woman’s powerful account of her personal experience of the NHS has been shared by thousands in the run up to the general election. The Facebook post has been shared almost 40 thousand times. As election day approaches, take a read and see if this will change the way you plan to vote and who could save our NHS. Rebekah Hodgson, a seven-month pregnant teacher, took to social media after watching Prime Minister Theresa May and Labour leader Jeremy Corbyn during ‘The Battle for No 10’. 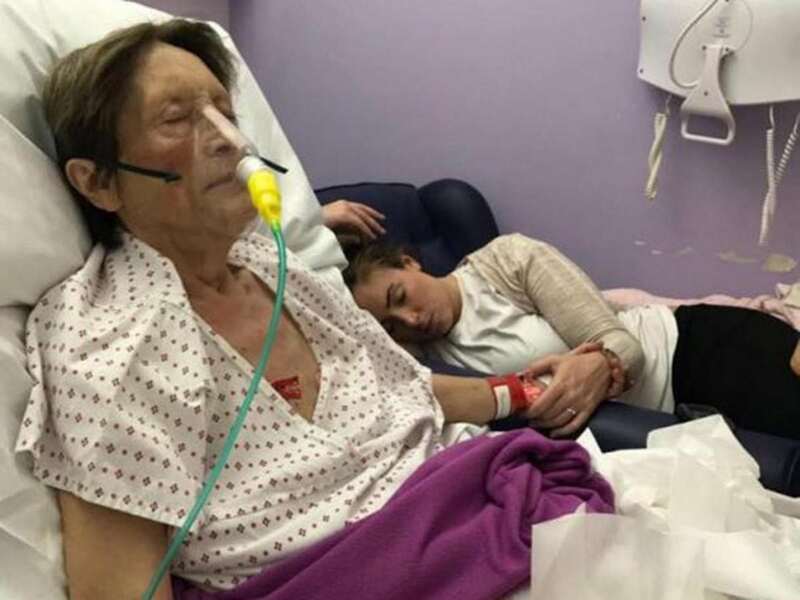 I’ve debated long and hard about posting this as I feel it is a very private family moment which my severely ill mother may not wish to be publicised. However. I watched ‘Battle for No.10’ last night and felt compelled to share my experience with the upcoming election. I was not necessarily the biggest Corbyn fan, I can see flaws in his personal character and leadership (true of any human of course) but last night I watched May lie about the state of our NHS and education. I am a seven month pregnant secondary school teacher who has sat in the Royal Berks hospital for 11 days with my mother and I can promise you that our NHS is struggling. That last night no one was free to help my mum go to the toilet. The staff were appalled with how long she had to wait for personal care and greatly distressed to have caused her and us such upset but they had to firefight. That wasn’t their fault. I know from my experience in school what it is to desperately want to help but not to be able to; given a lack of funding and resources. I know people are impassioned about Brexit & nuclear weaponry and anti-terrorism but NONE of that means anything if we cannot give our loved ones respect and care, if the values our society are based on are forgotten. What would Manchester have done without the NHS last week? I’ve sadly been in and out of this hospital for three years and I am watching it crumble before me. Please, if you really think it is just a ‘lefty/Snowflake banging on about the NHS and schools’ come down here then. Spend time on these wards. Watch the suffering and then ask yourself what the right way to cast your vote is. I don’t want sympathy for my situation, please, I want justice for our NHS and its patients. For the ‘immigrant’ doctors who saved my mum on Thursday night, staying five hours longer on shift in a bid to help my mum meet my son in two months and for all the young people who want to go to Uni to study to become doctors & nurses who can’t afford the fees.